As we know it is not always easy to come up with hard assets to put up as collateral in these tough times. Fortunately, here at Rocco Edivan Bail Bonds we can still help. Our professional agents are creative and flexible. We will work with you and always go the extra mile. You will notice the difference in our training and experience can make in helping your family through a very difficult situation. We accept all major credit cards, checks, and offer easy payment plans. Every bondsman has his or her own bail process. When you first contact a bondman, ask them to explain their process. A good bondsman will give you a thorough explanation of their process, as well as answer any questions you have. They should go over all the paperwork with you before you sign it. Choosing a good bondsman that you trust should make the bail bond process easy and allow your loved ones to spend as little time in jail as possible. We at Rocco Edivan Bail Bonds treat our clients with respect by giving them one-time, upfront prices free of the "surprise fees" and add-on costs charged by so many other bail bonds agencies in California. • Court Appearance Fees: Many charge extra for physically appearing at a bail hearing — not us! • Annual Premiums: A premium of 10% is often charged if a defendant's case (and bail bond) continues beyond 365 days—not by us. • Resumption/Liability Fees: These are fees on a bond that has been reinstated after forfeiture. We don't charge them. • Bond Re-write Fees: If the D.A. is late in filing the charges, you will technically need a replacement bond once he/she does. Some charge extra for this service, but Rocco Edivan does not. At Rocco Edivan, we understand that a bail bond is an unexpected expense and that many are caught unprepared to immediately pay even the 10% premium on the bail total. Therefore, we offer affordable and flexible payment plans to assist you in your time of need. Contact us today at 951-788-2663 for a free consultation. 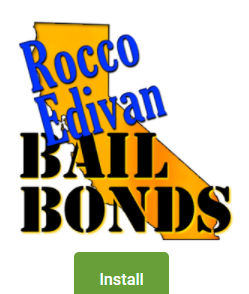 Unlike many California bail bonds agencies, we at Rocco Edivan Bail Bonds never charge any of our clients a bail bond annual premium. An annual premium is, in essence, paying the premium on your bail bond all over again if your case happens to continue unresolved for more than a full year. Most agencies put a clause in their contracts stating that bonds must be "renewed" on an annual basis—we simply cover you for the full duration of your case based on a single initial fee. The lack of an annual premium is no small matter, for with felony and other high risk-of-flight cases, a second bail bond premium can cost you thousands or even tens of thousands of dollars. There have even been instances where an annual premium cost a defendant more than a hundred thousand dollars. At Rocco Edivan Bail Bonds, we treat our clients with dignity and respect and are always 100% upfront and honest with them about the true costs of a bail bond. Instead of taking advantage of people in their time of distress, we strive to do all in our power to help. Oftentimes, the district attorneys office handling a case does not yet have sufficient evidence collected or is simply too busy to immediately pursue every new case that arises. When this happens, the D.A. may delay to formally file charges against you instead of doing so at your initial court appearance. If a defendant is bailed out of jail, and the D.A. fails to file the charges within 15 business days of your release, your bail bond is automatically canceled. In this situation, a new bail bond will be needed for the defendant to stay out of jail once the D.A. finally files the charges. Many bail bonds agencies take advantage of their clients at this point and force them to pay for a bail bond all over again. We at Rocco Edivan Bail Bonds never engage in this kind of opportunistic double charging. 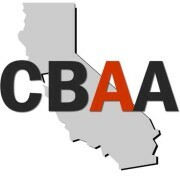 A second way that many bail bonds agencies extract extra premiums out of their customers is through an annual renewal clause in their bail bond agreements. This clause states that, should the case (and the bond) continue for more than a year, the co-signer of the bond must pay an annual premium to renew it for the year ahead. These premiums will generally be as high as the original fee (10%) and can cost people tens of thousands of dollars for each additional year. We understand that criminal cases often take more than a year to be resolved and that the length of the court process is not under the control of our clients. Therefore, we choose to stick to a strict one-fee-per-bond policy regardless of the time period involved. Should a bonded-out defendant fail to appear in court, regardless of the reason, the presiding judge will forfeit the bail bond and issue a bench warrant for the missing defendant's re-arrest. The bail bonds agency will be notified of the situation by the court and will often play a role in bringing the individual before the court as soon as possible. Many times, a simple miscommunication, a clerical error, or an unintentional memory lapse will result in a missed court date. In such situations, the defendant may only need to appear in court with a letter, called a "motion for reassumption of liability," stating that his/her bail bondsman is willing to still honor the bond. Most agencies charge a fee of a hundred dollars or more for this letter—Rocco Edivan Bail Bonds does it free of charge. For a single, upfront fee on your bail bond, set at the lowest rate legal in California, call us today at 951-788-2663. The temporary release of an accused individual who is awaiting trial, frequently on the condition that an amount of money be committed to guarantee the individual will make their set court appearance. The bail bond is the agreement signed between a bail bonds agent (more on them later) and a co-signer whereby the co-signer becomes liable for the monetary amount of the bond if the individual they bail out does not appear for their court date. Now you may be curious as to how this benefits you, the consumer. When a court sets that bail amount, it is almost certainly too much for the average person to come up with in cash, or is simply too high to practically pay out of pocket. When you hire us, you only need pay 10% of the bail amount while we “front” the whole amount to the jail/court in the form of surety bail. That means if the court sets a bail for your loved one at $5,000, you simply pay us $500 instead of withdrawing cash and carrying it to the jail. The common fee for a bail bond is 10% or even 8% of the amount of the full bond. For example, the fee for a $10,000 bond will be $1,000. The bond agency may offer payment plans for those that do not have the money upfront depending on the credit score of those who are paying. Often times we can even finance the premium for you, so if you cannot make the full 10% or 8% premium, we can accept a down payment and allow you to make no interest payments on a flexible schedule that fits your budget and lifestyle. Rocco Edivan Bail Bonds proudly serves the Riverside, California and has experience working with the kind of cases which are common in the area. Please give us a call at 951-788-2663 and we can get started on your case and help you get your loved one out of jail as fast as possible for a reasonable price. Finally, here is what ultimately is required of you when you bail someone out: If the defendant is not qualified to sign for himself (adequate residency, employment, credit history, etc. ), you may be required to co-sign on his bail agreement. It would entail a 2 page application and several disclosures to be signed. This paperwork can be done at our office, via fax, or even through email. Soon, our forms will be available on our site. We will work with you to make it easy. As long as the defendant goes to court each time while the bond is active or violate his or her bond, you will never be responsible for more than that 10% fee. The amount of the bond can vary greatly, but is based on the crime the defendant has been charged with. On occasion, a judge can set the bond amount based on their own discretion, but it is mostly set by community bail schedules which are set based on the nature of the crime, which essentially means, usually the more serious the crime, the higher the bond amount. For example, the bond for a murder defendant will be higher than the bond for a DUI defendant. Whether or not the defendant is a flight risk is also factored in with the bond usually being set higher if it is determined there is a higher chance the defendant may not appear for their court date. How long does it take for the bond to get the arrestee out of jail? The bond can be posted in less than an hour in some cases, but the arrestee will still have to go through a sometimes time-consuming release process after the bond has been posted. A skilled bail bond agent, such as the ones employed by Rocco Edivan, will be able to keep the process as quick as possible, but it could still take three or more hours after the bond has been posted before the arrestee is released from jail if the jail is busy at the time. This is when an individual is able to pay the full amount of the bond upfront instead of taking out a bail bond. It is rare that individuals are able to fulfill cash bonds so bail bonds help low-income citizens who have been arrested get out of jail. A bail bond agent, or bail bondsman is any person, agency or corporation that will act as a surety and pledge money or property as bail. Rocco Edivan Bail Bonds is a certified bail bonds agency.